I got a lot of interest and responses to my previous blog post on how to use My 50 Best Lightroom Presets from your PC on your Mobile and Tablet devices so I decided to create a video explaining how to do it. 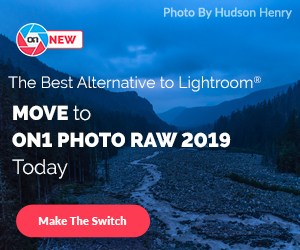 TRY MY 50 BEST LIGHTROOM PRESETS Featuring HDR PRESETS !!! With the Creative Cloud you get a subscription to Lightroom on your PC and your mobile devices. The Photography plan is the cheapest to do so at $11.99/Month. It’s not as good as a solution as on your desktop version of Lightroom where you are supplied thumbnail previews of the image, but it is good enough. To learn all about how to take your presets on your computer to your phone watch the video below! I’d be keen to respond to any questions you have or feedback on the topic. I’d say Adobe are waiting for our Mobile devices to become more suited to Lightroom editing for this feature to be possible, but for now enjoy using this method. Here is the image I created using one of the presets from Trey’s Lightroom Packs, combined with a 30 second exposure photo of mine from Sydney Harbour.